Can EFT Help With Pain Relief ? EFT aims at two vital causes of pain that are largely ignored by the medical community. Conventional medicine treats the pain and attempts to numb it or make it manageable while EFT comes at the pain from another angle and treats the pain at the root. To understand this process it is necessary to understand where pain comes from or what causes it. Medical science looks at the end result or where the pain is and attempts to find a cause there but the alternative way of understanding pain is that it has it’s roots in the mind and the thinking processes. If you have heard of or are aware of the concept of the ‘mind body’ connection you will already have some awareness of or belief that the mind influences the body. In fact nothing happens in the body without the mind has influenced it. The instant the mind withdraws from the body is the moment of death. Without the mind to direct it the body is inert, lifeless and incapable of doing anything else than decaying. The mind in actual fact is the body and your thoughts and beliefs have been shaping your body since birth. You only have to look at a round shouldered individual and hear them talk to realise they have spent years shouldering the burden of this that and the other. Our habitual thoughts shape our lives and influence out bodies and create the illnesses and pains we suffer from. Of course nobody would bring illness or pain on themselves deliberately but we do it unconsciously and without realising it and once the pain has begun our focus on it holds it there for much longer than it should or could if treated correctly. EFT is based on the ancient art of Acupuncture and the ancient Chinese knew that subtle energies circulated throughout our bodies and that the free flow of this energy is vital to our health. They were aware that interruption of this energy resulted in pain and disease. When the energy stops altogether we call it death. These are well established facts in scientific literature and Eastern health practices have been based on them for over 5,000 years. They are also part of Einstein’s findings. It should be no surprise, then, that repairing any disruptions in these subtle energies could lead to healing and pain relief. But what is the cause of the disruption of the energies, what is it that blocks the free flow? The energy is blocked by negative thinking patterns and negative beliefs and ideas and we are constantly being fed a diet of fear thoughts through the press and the media. When you think a scary thought you tense and certain muscles contract thereby restricting the flow to that part of the body. Different parts of the body are susceptible to different kinds of thoughts for instance back problems are often a result of feeling unsupported in life. Feed yourself a daily diet of fear thoughts and the muscles, skeletal body, nerves and fibres will suffer. It is also a well established medical fact that every emotion you have triggers a dizzying array of chemicals in the body. Happy emotions produce healing chemicals such as seratonin while negative emotions release stress and disease causing chemicals like adrenalin into your systems. 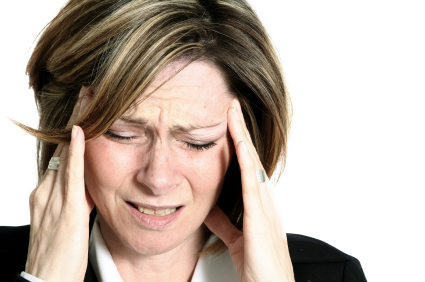 You are probably already familiar with how stress might cause ulcers or even cancer. But did you know that negative emotions are a major cause of pain too? 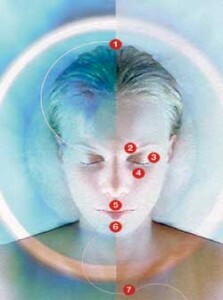 This will become refreshingly clear to you once you try EFT on your pain and it reduces. Drugs tend to temporarily help the chemical causes of pain but they have limited ability to reduce any long term underlying emotional causes. EFT, on the other hand treats and removes the emotional causes and that is why long term pain relief is often achieved. Jenny had suffered from back pain for many years since she fell down a set of concrete stairs as a young woman. Despite being a practicing Acupuncturist she had been unable to get pain relief from her recurring back pain. Within a few minutes of starting the EFT tapping Jenny felt relief for the first time in 20 years. She was amazed at how different she felt and how quickly it happened. This common sense approach draws its power from (1) time-honored Eastern discoveries that have been around for over 5,000 years and (2) Albert Einstein, who told us back in the 1920’s that everything (including our bodies), is composed of energy. These ideas have been largely ignored by Western Healing Practices and are addressed using EFT. 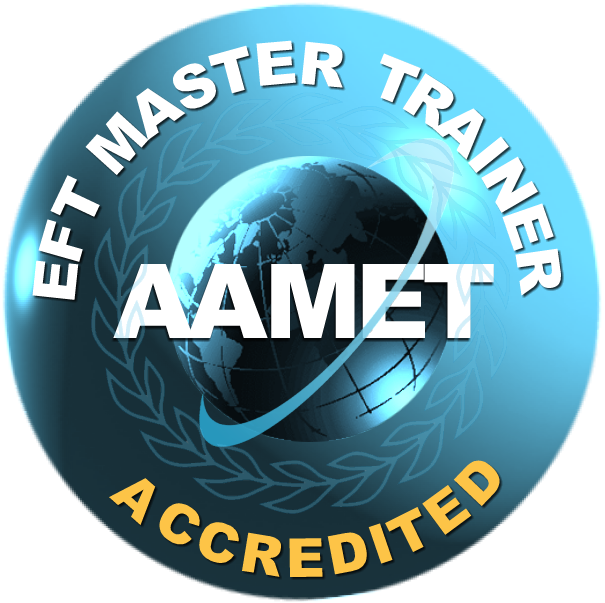 EFT has swept around the globe since it’s conception and more and more therapists are learning it and using it alongside their regular therapies with clients. It’s so easy to learn and so effective in use that those who don’t know it or use it are behind the times. It’s founder Gary Craig envisioned a world where every single person would have the skill of EFT at their disposal. He hoped that one day it would be taught in schools to children as young as five and it seems his dream will come true as EFT is being used from Saudi Arabia to Outer Mongolia already. Many of those who have benefited from EFT have gone on to learn the basics by attending a one day beginners workshop which teaches all that is needed to use EFT effectively in 70% of cases on your own issues and those of family and friends. Complex issues are best dealt with while using professional help but no harm can come from using the tapping technique and while you may not be able to completely eliminate a long standing problem you can certainly alleviate the symptoms of headaches, fears, phobias, nerves, stress and many other things. Imagine being able to help your friends and family with all of those things. It is not just physical ailments that can be helped using EFT but all sorts of situations from loss to bullying at school and in the workplace can be treated. EFT can even be used on crying and sick babies and pets of all sizes and it is 100% safe to use; as safe as stroking a loved one’s head or patting them on the back to make them feel better. Whatever the problem is EFT Emotional Freedom Technique can alleviate the symptoms quickly and easily thereby allowing you to gain your equilibrium and be free from negative feelings like guilt, blame, anger, depression, sadness, grief and pain to name but a few. Pauline worked on Sciatica pain and she was in so much agony she could only lay on the floor while the session was conducted. It worked for me and I was amazed at what you uncovered. Within an hour or so the pain was so much less. After session two it went altogether so I am a 100% believer. I did it on myself in India for a digestive problem and it worked straight away, amazing. I’ve been trying to do it on my sister for her bad leg but I keep on forgetting what to say. I’ll have to have a brush up.